Give that some thought. Are you constantly rushing through life? Always running on adrenaline? Continuously on the go and never stopping to relax? Do you often feel chaotic, anxious, stressed and overwhelmed? One of my personal goals at the moment is to slow down. To just stop and appreciate the moment. Be more mindful. Stop rushing through life. Stop busying myself all the time. Stop creating stress from nothing. It’s time to hit the breaks, give myself the chance to breathe and basically just chill the EFF out! Both physically and mentally. It is a necessity for my mind, body and soul. I have already taken the first crucical step to help me achieve this goal – I have cleared up my schedule a little bit. I have officially resigned from my second job and I have also decided to take a temporary break from studying. Both were extremely difficult decisions for me to make, especially giving up my studies, but already I feel so relieved having made them. The whole ‘working 5 days a week, studying the other 2, no days off’ thing was really starting to take its toll. Physically, I have been exhausted. Emotionally, I have been drained. Mentally, I have been dazed and my stress levels have been through the roof. I literally had no time to get everything done, let alone have any time to myself. There were no “spare moments”. Now that I have eliminated that 7-days-a-week-with-no-rest-in-between nonsense, it’s like a ton (maybe even 2 tons) of bricks has been lifted off my shoulders. I actually have that amazing little thing called ‘free time’ now (a very luxurious 2 days off a week) to do with what ever it is I please. The problem is, even on my days off I still seem to find myself frantically running around on anxiety-fueled adrenaline like a crazy person. After years of living this hectic lifestyle, I have become conditioned to being busy all the time that I don’t know how to not be busy. If that makes any sense? And I don’t just mean busy in the literal sense. I mean mentally too. Although I may have created some free time in my life physically, mentally things are still just as chaotic. I am so used to racing around and my mind has become accustomed to ‘go go go’ that the biggest challenge for me is switching off. When I read a book, I can’t simply escape into the story without my mind wandering off. When it comes to dinner I will rush through eating my meal because I’m in ‘busy mode’. When it’s time for me to sleep at night I lay awake for hours just thinking and stressing myself out about anything and everything. Even when I watch TV I’m always doing something else like scrolling through my phone or checking emails. So as you can see, when I say I need to slow down, it is my mind that I really need to work on. Mindfulness. That is the goal. It’s about being in the moment. Not anxiously thinking ahead. 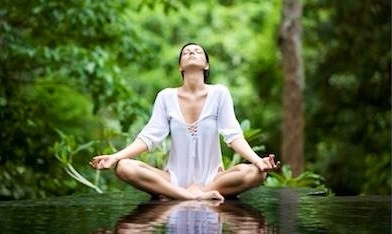 It’s about creating a calmness in my mind and appreciating the moment I am in. Living in the now. Not the past and not the future. – Meditation: To be honest, I don’t really see myself as the sitting crossed legged in a quiet room, humming ‘ommmmm’ to myself kind person… Even if that is a very stereotypical view of meditating. What I mean is, I struggle enough with stillness as it is so my form of meditating is better done in other ways. Everyone does their meditating in different ways and for me, I find long walks in the sunshine does the trick. – Yoga: something I have been meaning to get involved in for a long time, yoga is not only great for your body, flexibility and injury prevention, but also a wonderful way to calm the mind. It is a beneficial way to implement stretching and mindfulness practices in the one hit. – Reading: I love books and I love reading especially about subjects that enrich my mind, my spirit and teach me valuable lessons. Knowledge is power after all. – Writing: nothing is more therapeutic to me than having a journal and pen in hand to write out all my thoughts. Writing is one of the best outlets for me and great way to clear the mind. – No more multi-tasking: It’s time to stop doing multiple things at once. Trying to multi task all the time just fuels feelings of busy-ness and chaos. From now on I am going to aim to just focus on one task at a time. That means, no phone in hand while watching TV and no more eating dinner and reading at the same time. – Scheduled ‘Me time’: yes that’s right, ‘schedule’ it in. I know if I don’t purposely make the time for myself, to just chill out and enjoy my own company then it will never happen. Sometimes just spending some time on your own is exactly what you need to realign your energy. – Reduce technology use: Ever since deciding to go on a digital detox, I have already noticed a dramatic difference to my anxiety levels. Technology can really take a hold of you and your time if you let it, which is why I decided to eliminate the use of Instagram and Facebook between the hours of 9am-6pm each day. I did this for a whole week and felt so elated and generally less inclined to use my phone as often ever since. It’s amazing how much time we can waste away on our digital devices and it makes you wonder how much more we could get done in a day if we didn’t have these pocket sized distractions looming over us constantly. That’s just some of the tactics I am going to try in order to declutter my mind and slow down. I am open to suggestions though. I would love to hear about some of the things you all do to help create feelings of peace and calmness in your mind. 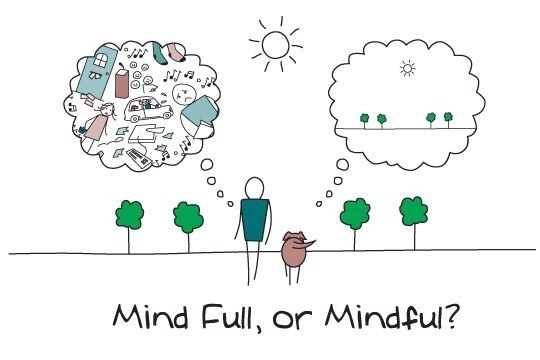 How do you practice mindfulness? What relaxes you and how do you de-stress from your busy lifestyle? Please share your comments below. I am in the middle of a digital detox because I felt as if I was wasting my idle time away on social media instead of doing the things I always wish I could do when I am “busier.” This week I am enjoying reading more, books and blogs, but staying off Facebook and Twitter which tend to be time wasters for me. Thanks for the tips you shared. I loved reading this. I am currently going through a funk myself. I went from a crazy busy and hard school year to a full time job in the summer Monday-Saturday. I should have thought about how draining it would be from going from one extreme of school to the extreme of a full time job. Summer is coming to an end and I will be back to my crazy school life. If I wasn’t in such a hard program it wouldnt be so bad but i am never getting a break now from working so much this summer. It has drained me mentally and physically. I never have time to just be 20 years old and relax and enjoy life with friends and family. I am constantly having break downs about how I cant handle all this and I need time to focus on me . . I am going to take work off a few weeks earlier I think then I planned to because I cant be depressed anymore. I have never ever been this way and I need to snap out of it.